Extreme Laser Tag Excitement in the Outer Banks! Gearworks Family Fun Center and Video Arcade is famous as the best laser tag arena in the Outer Banks of North Carolina! Now Hiring! Want a cool job? 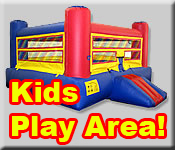 Gearworks Family Fun Center is the premier laser tag facility in Dare County at the beach - offering state of the art laser tag games, arcade games, air hockey, and unbeatable birthday parties... If you've never been to Gearworks, you're missing out! For more information, give us a call at 489-2105 with all your questions about Gearworks, Video Games, Laser Tag, Birthday Parties or anything else we can help you with!